An electrical transformer is an alternating current device that “transforms” energy from AC circuit to another through electromagnetic induction. They are used when it is necessary to change the voltage from one level of intensity to another. In most cases, from a higher voltage level to a lower one. This is refereed to as a step down transformer. It is not unusual to convert a lower voltage to a higher one. In that case it would be described as a step up transformer. This is done by applying the magnetic induction principle between coils in order to convert the voltage and current levels. Transformers are usually made with a ferromagnetic core as the base of the mechanism, and two or more coils, normally called “windings”. An alternating magnetic field is created in the core by the changing current of the primary winding. This enables the core to multiply the magnetic field and couple the majority of the flux over to the secondary winding. This action promotes an alternating voltage in each secondary coil. As with most inventions, transformers didn’t pop up overnight. 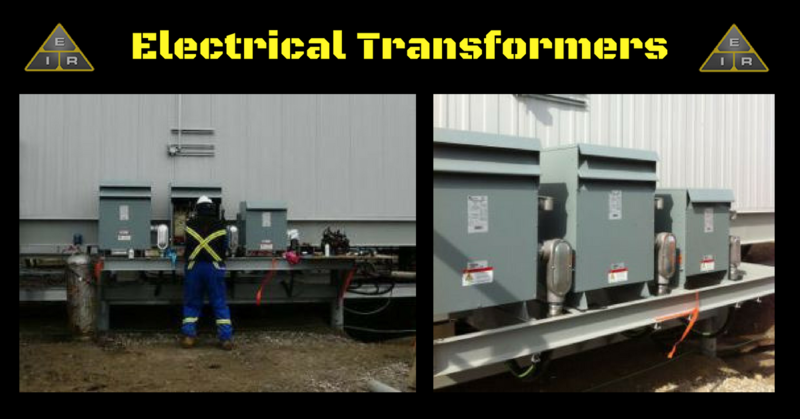 It took many years of inventions and improvements for the electrical transformer to become what it is today. One of the earliest discoveries that can be attributed to the development of the transformer is the magnet. Nearly 3000 years ago, the Greeks and Chinese noticed that lodestones had the power of attraction. The Greeks decided to name the lodestones magnets. Further advancements toward developing a transformer didn’t begin until the late 1500’s. A mathematician, William Gilbert, was one of the first to apply scientific methods in his investigations into the secrets of magnetism. His findings were published in 1600, where he compared the polarity of a magnet to the earth’s polarity. Another mathematician, Charles-Augustin de Coulomb published his findings on the inverse square laws of repulsion in both magnetic and electrical forces between the years 1785 and 1791. In 1820, Hans Christian Oersted discovered that he could produce a magnetic effect by passing an electrical current through a wire coil. This was the first significant step towards the invention of the transformer. More ideas of what was needed to build a functioning transformer were understood by 1831, when Michael Faraday and Joseph Henry independently discovered the power of electromagnetic induction. This meant that a change in the magnetic field inside the wire coil would induce an electrical current. In 1836, a professor of natural philosophy, Nicholas Joseph Callan, built the first, basic transformer. During a class demonstration he placed two coils of wire side by side. One of the coils was connected to a battery, which he then disconnected, inducing a spark to jump on the second coil in between the wires. The electrical current in the first coil had used magnetism to induce electrical power in the second coil. This is the basic principle behind how a transformer works. Many trial and error experiments were performed between the 1830s and the 1870s, further revealing basic transformer principles. 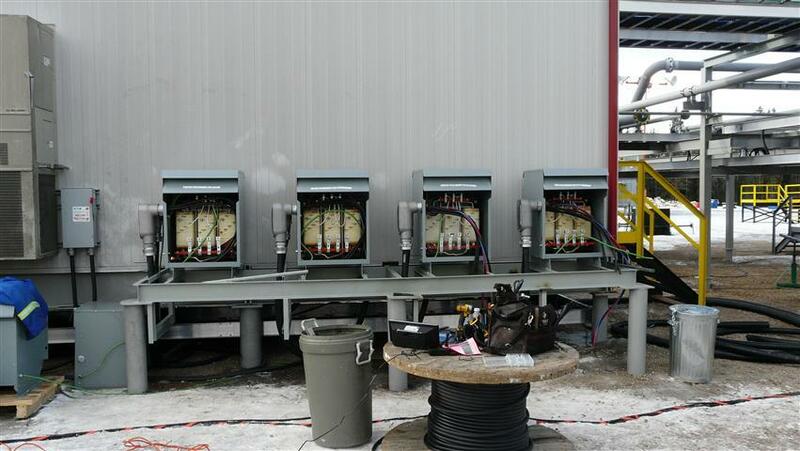 By 1876, transformers began being used in arc lighting systems and electric power distribution. 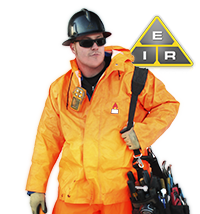 Since then, applications have increased to include video, audio and instrumentation. 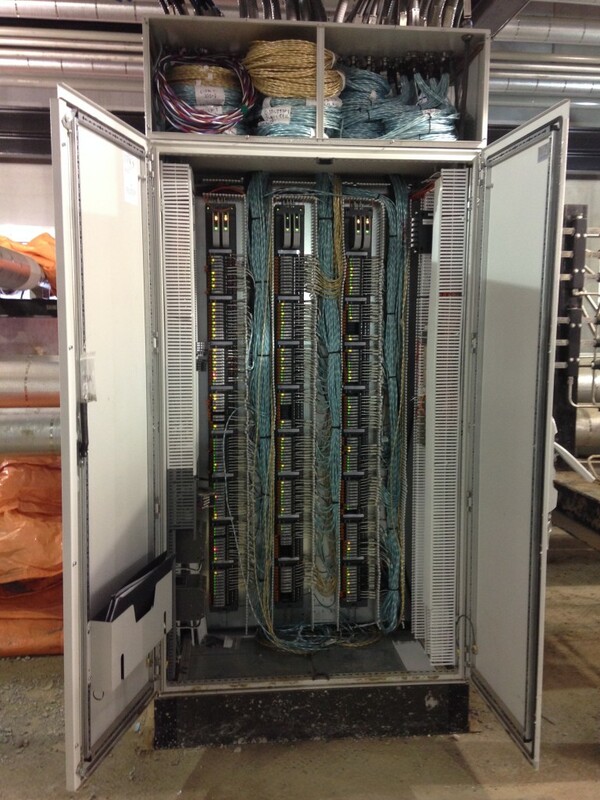 Electrical transformers come in all sizes from less than a centimeter to as large as a bus. 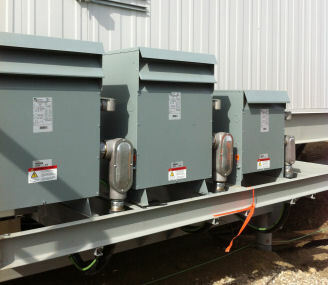 As an electrician, the most common transformers you encounter will be the pole mounted type that convert the high voltage coming from the power plant to lower voltages for household use. 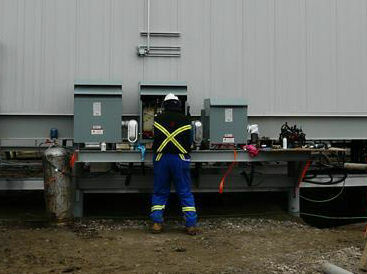 Your task may include repairing a damaged transformer, or installing a new one in a new housing development.